Be sure to share these great resources with your friends and colleagues! Add Questions to Videos, Monitor Progress, etc. EdPuzzle is an awesome free tool that makes it a breeze to embed questions in YouTube and Vimeo videos. When students log in and watch the videos on EdPuzzle, you can then see their progress. Did they watch it? How did they do on the questions? This is one of the most useful and powerful edtech tools I've come across, making videos a much more powerful teaching construct, engaging students in the videos as they watch and learn. Perfect for flipped and blended learning. This 3 Minute TOOL-torial introduces Canva, and mostly free app that makes it a breeze to create graphic images combining images and text. Presentations, posters, infographics, amazing social media visuals, blog images, and so much more. Great for educators for various needs and uses, and for so many other applications for other professionals and hobbyists! A quick overview of the SafeShare.TV application that makes it easy to safely share YouTube and Vimeo videos without the distractions of ads and other extraneous content, or inappropriate content! Social Media can provide instant updates on events, topics, people, places and things across the world in minutes, from experts and everyday folks. HootSuite makes social listening for teaching and learning super easy. Socrative: Free Student Response System using phones, tablets, computers. Socrative is a powerful yet simple Student Response System that lets students respond to ‘quick questions' or full quizzes using smart phones, tablets, or computers. 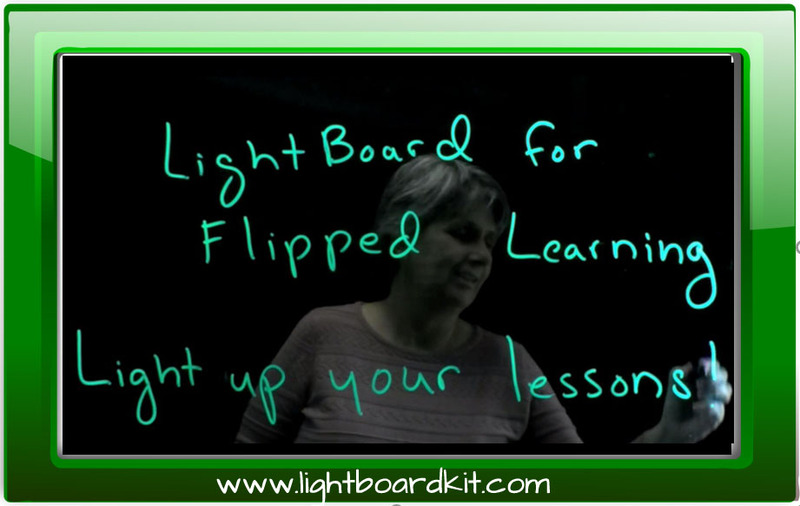 Ed.Ted.Com: Create a Flipped Video Lesson with TedEd. This entry in the “3 Minute Teaching With Tech Tip” video series shows how easy it is to ‘flip' any YouTube video with the structured tool set provided at ed.ted.com. These lessons can be public or private, and the easy to use tools let teachers add associated content, a brief quiz, and online discussions associated with the video that is the focus point of the lesson. TedEd is totally free, and teachers get summary feedback on lesson views, quiz results, discussions, etc. Newsela: Newsela is a robust Reading Comprehension platform, offering thousands of articles on many topics, at multiple reading levels. The platform connects articles to Common Core Reading Standards, and many articles now come in English or Spanish. Come learn what you can do with the free version of this popular platform! Tackk: Easily Create Private Online Digital Content Discussions With Tackk. Tackk is a simple, free tool that makes it a snap to create private or public online discussions about one or more pieces of digital content. Post web content, videos, your own digital content, questions, text, etc., and share them with ease. This a great way to have a dialogue, in class, or as part of an assignment, around digital learning content. 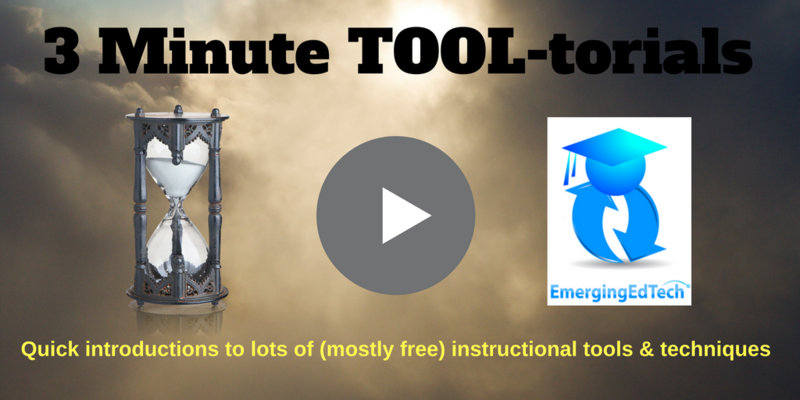 A powerful free tool for the digital learning. Movenote: Using Movenote to Deliver Digital Content That Includes YOU (on Webcam)! Movenote is a popular tool for educators because it's free, it's easy, and it makes it a snap to add a video discussion to selected digital content. Check out this tutorial video to see how easy it is, and you'll find yourself thinking about ways to use Movenote for blended or hybrid learning environments, online learning, the flipped classroom and other appropriate teaching and learning applications! Blendspace: Create Powerful Lessons in Minutes with Blendspace. Blendspace Makes it Incredibly Easy to Combine Web Pages, Files, Pictures, Videos, and Text into a Slick, Easy to Consume Online Lesson Resource, and it's Totally Free! Teachers love Blendspace for hybrid, digital, blended, or flipped learning. Screencast-o-Matic: The Original Free Screencasting App! There are a number of free screen casting tools available. One of the mainstays is Screencast-O-Matic, which is available as a web app, or as a download for your PC or Mac. The free version limits users to 15 minute videos and it does not provide editing capabilities, but you can upgrade and get editing functionality and unlimited video length for only $15 a year! Snip: Create Annotated Digital Lessons Based on Screen Shots in a Snap with Snip! Snip is a screen capture and annotation tool (or just a ‘whiteboard’ if you want it). It makes it really easy to create instructional videos by writing or drawing on a screen ‘snips and saving the resulting video as an MP4 file. Open Educational Resources: Get to Know OER – what they are and where to find them! Remind: A Free Tool for Text Messaging Students. Remind (formerly Remind101 – they've changed the name since I recorded this) lets teachers send text messages to students through a web interface, for free. It will also send the same messages to email, and you can let parents or other teachers opt in if you wish. Very cool. No wonder educators love it. LessonPaths: Assemble Cool ‘Linear' Digital Lessons With Ease Using LessonPaths. 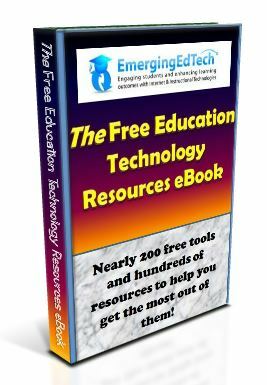 LessonPaths is a great free and easy to use tool that makes it a snap to assemble web pages and other digital content into an easy to consume linear set of content for students. PowerPoint (2010) Narration: Voice Over PowerPoint 2010 Presentations with Built in PowerPoint Functionality. See how easy it is to narrate over PowerPoint 2010 slides with this quick video lesson! Twiddla: Online Collaborative Interactive White Board. Twiddla is an online Interactive White Board that you use to edit collaboratively with anyone that you invite. What makes Twiddle extra cool is the ease of use – you don't need to create accounts and it's super quick to start a new whiteboard and invite someone to edit with you! You can even pull in a web site or document and notate or mark it up together.